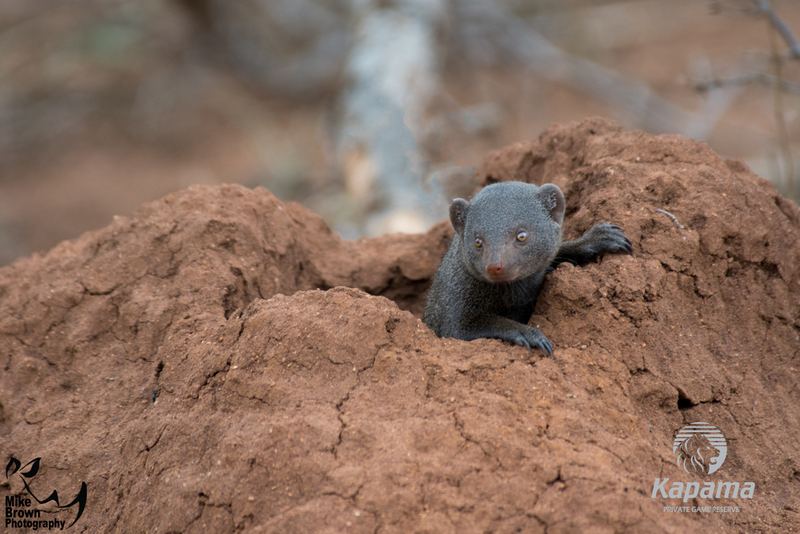 The Strength of Family in the African Bush | Luxury Safari Experts | African Safari Co.
Not many people know this, but the Dwarf Mongoose is the smallest carnivorous mammal in the Lowveld. By looking at them it’s hard to think of these little fluff balls as killers. They are, however, very successful predators, feeding on anything they can find. They eat lizards, beetles, insects, fruit and sometimes even snakes. These African mammals are obviously very small and therefore might seem vulnerable. But in fact, they are rarely preyed upon. `This is down to one reason, family. They have incredibly strong family bonds and always look out for each other. There is always someone on watch duty and no one ever cries wolf. If a member of the group sounds the alarm, they all react instantly without hesitation. When a potential predator is near, they will run to cover. 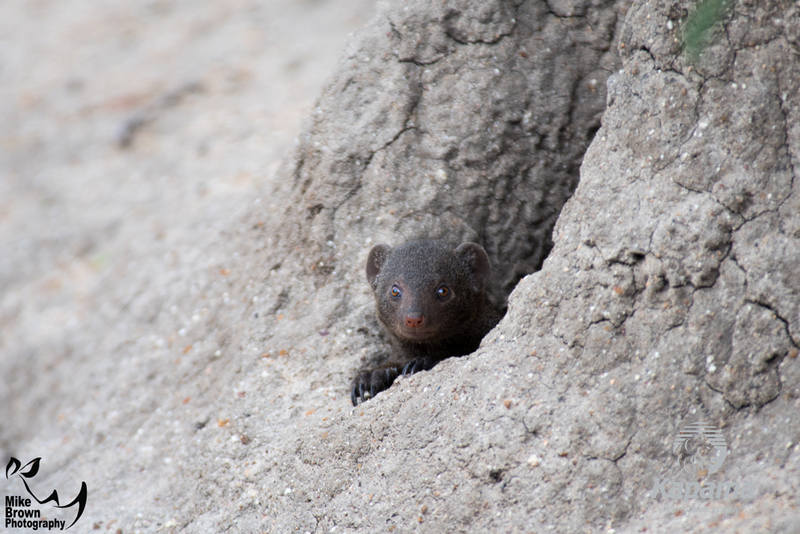 Normally you’ll find them shoot down the chimney of an old termite mound. A perfect system of tunnels and chambers that provide the ideal home or den site as well as a lookout post and food sources. 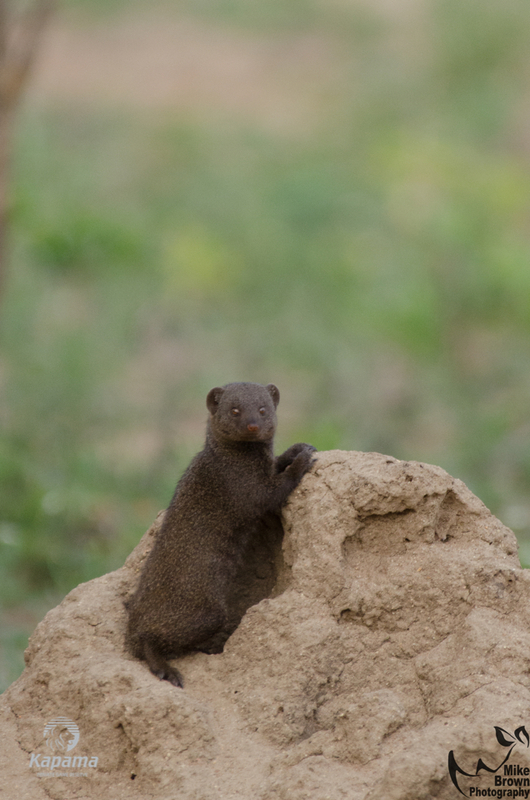 As mongoose are nomadic and move from place to place in search of food, these den sites are rarely used for longer than a few days. Raising pups is a very demanding task but is made easier when the work is shared by the group. Usually, only the group’s dominant female becomes pregnant, and she is responsible for 80% of the pups reared within the group. Previous litters stay at home to assist in raising the new litter. They help guide the little ones through their first stages of life, teaching them the ins and outs along the way. Just as they were taught by the litter before them. The new pups are able to go out with the group by the time they are 6 months old. They can have pups of their own when they reach sexual maturity at 3 years old. All of this requires a lot of trust between them. One way in which this family bond is strengthened is through Allo-grooming. 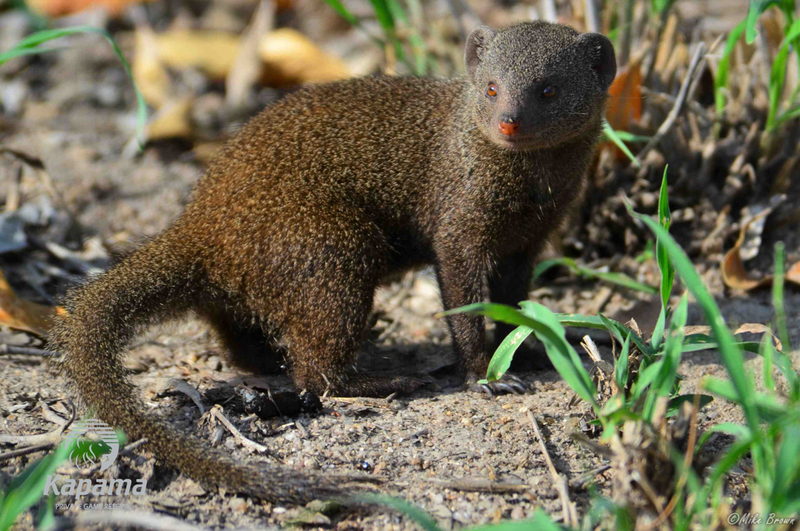 A process where one mongoose grooms another. Just like primates, the groomer looks for any parasites which they can remove and eat. This helps to keep each other clean. They truly are amazing creatures and always give us entertaining sightings! If, at first, they run down a hole, sit and wait and you will see their cute little heads pop up in no time at all!